The future of Amazon has arrived, and it's not a drone. 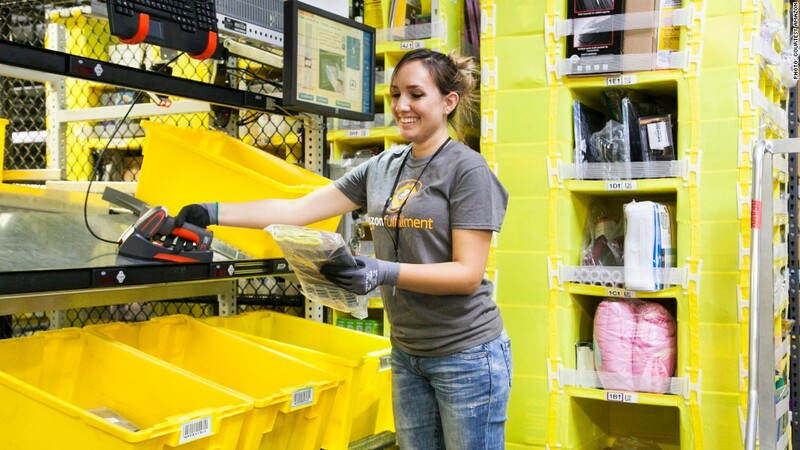 The 10 higher-tech fulfillment centers will "increase speed of delivery while enabling greater local selection at lower costs for our customers," Amazon senior vice president Dave Clark said in a statement. Amazon has deployed a total of 15,000 Kiva robots, which look like large orange Roombas. 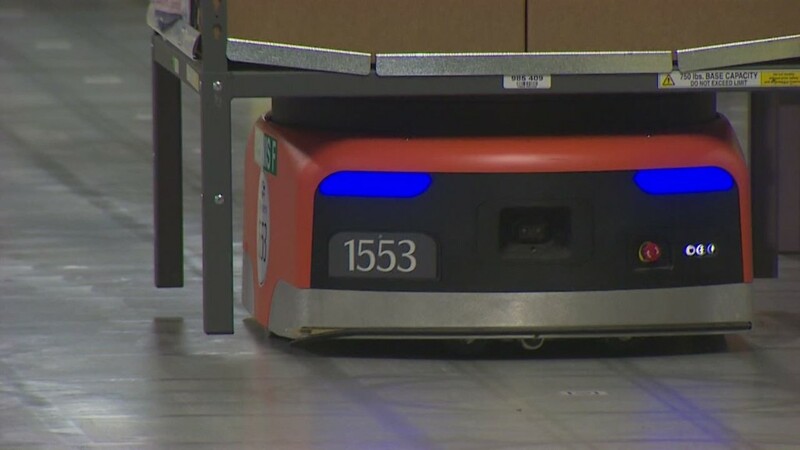 The robots pick up and deliver entire warehouse racks to employees, cutting down on the time an employee might spend walking to collect items in an order. "They're like NFL linemen -- they're about 350 pounds, lift about 750 pounds, they're fast and super efficient," Clark told CNNMoney. Other improvements include better systems to unpack a truck of inventory. The company says it has cut the process from hours to 30 minutes, in some cases. The unveiling was strategically timed for Cyber Monday, when retailers, shoppers and, frankly, reporters are focused on the flurry of online shopping. But experts and data indicate that the online frenzy is less and less concentrated on the Monday after Black Friday, and instead spread out throughout the holiday shopping season. Even more technology powers Amazon's next generation warehouses.